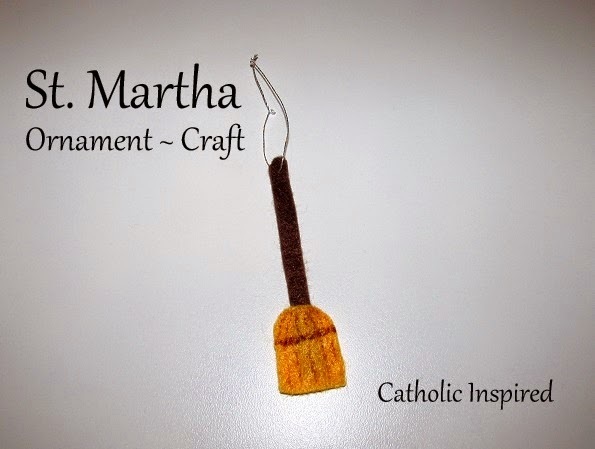 The feast of St. Martha is July 29th (new and traditional calendars). She was a friend of Jesus and the sister to Mary Magdalene and Lazarus. Because of the story in Luke 10:38-42, Elizabeth and I decided to go with a house keeping theme. So we created a broom. 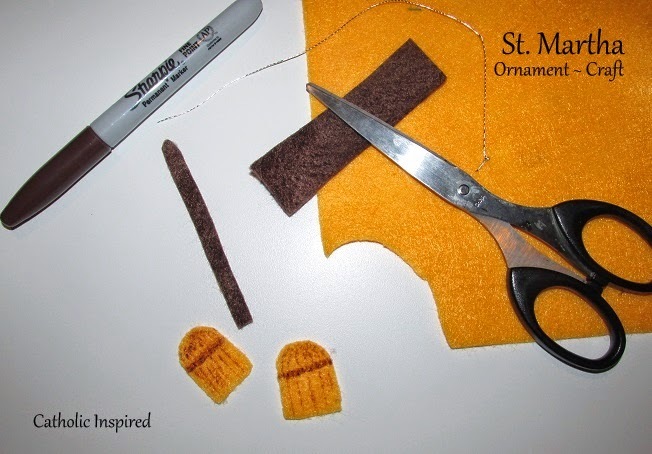 We used dark brown and yellow felt to create this ornament. We also used a brown permanent marker to add "bristles" to the broom. This ornament is double-sided so it looks the same on both sides. Although we don't have it pictured, we did make two broom handles and glued them back to back. This made the ornament more stable.